The fountain of youth for grandparents. The fountain of youth might just be spending time with grandkids. Sure, there might not be a real fountain of youth, but studies show that spending time with grandkids is very healthy. 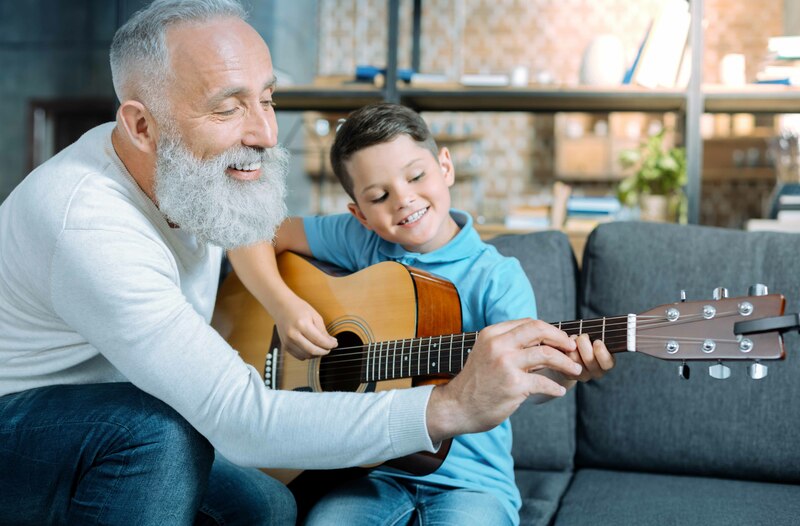 Grandparents get a lot of mental stimulation and fun out of spending time with their grandkids, keeping them feeling sharp, engaged and less isolated. It also allows them a chance to pass on and share their years of hard-earned wisdom. The grandparent and grandchild relationship offers Mom and Dad a lot of added benefits. Here are just a few of them. A study conducted by Boston College showed that grandparents who have a close bond with grandkids were less likely to develop depression. Now that’s something to smile about! A 2016 study showed that grandmothers who occasionally babysit their grandkids had a lower rate of Alzheimer’s. The reason isn’t known, but it’s definitely a great reason to plan a weekend sleepover at grandma’s house. Having kids around can definitely help keep seniors young at heart. Caring for them can give seniors a sense of purpose which results in longer life spans. These bonds aren’t just positive for the grandparents. Kids benefit from their grandparents' experiences and wisdom. Children who have a strong bond with seniors tend to develop a sense of compassion, caring, and other positive behaviours. Now, before kids head to Grandma & Grandpa all summer long, know that too much of a good thing can be… too much. If it seems like work for the grandparents, then the time they spend caring for the children can cause them stress and have a negative impact on their lives. So it’s probably best to embrace quality time over quantity. Don’t forget that if you are a Snowbird and are heading for warmer climates in the winter, it doesn’t have to mean missing out on quality time with your grandkids. With Blue Cross travel insurance for Snowbirds, grandparents can access discounts of travel insurance for family members that are coming to visit. And with the trip break feature, they can come back to Canada from time to time without coverage interruption.